Gottfried Becker was born in Lommersum, Prussia around 1800. He married Agnes Kerp in Weilerswist, Prussia on 5 Oct 1826. Agnes was born in Weilerswist, Prussia around 1806. They settled in Chicago, IL around 1848. Gottfried died 8 Feb 1881 and Agnes died 9 Sept 1887. They are buried in St. Boniface Cemetery in Chicago. For further details, contact the Chicago Genealogical Society. 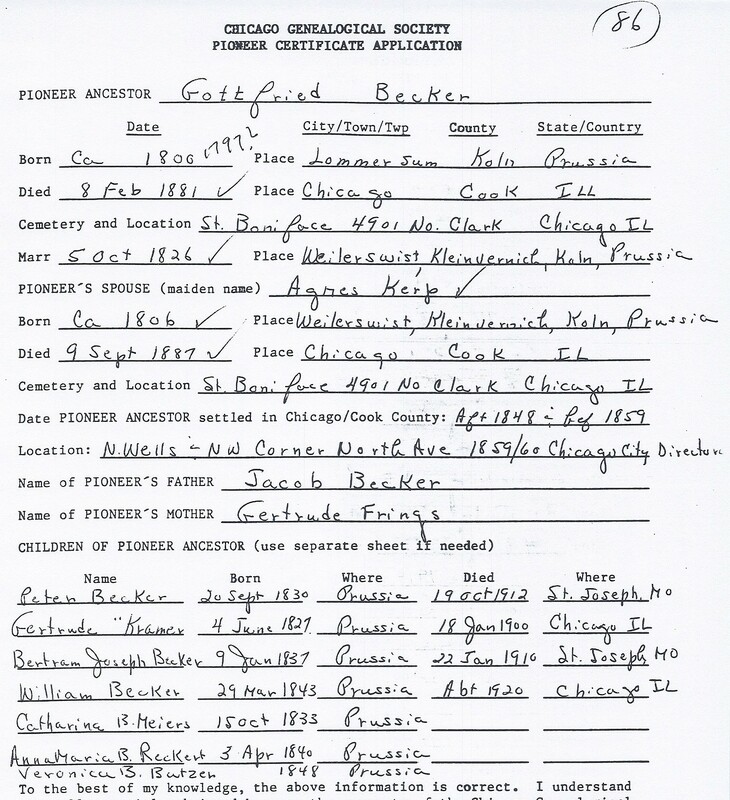 Gottfried Becker is Pioneer Ancestor number 86.